Apple has reportedly pitched music labels a new lower pricing structure for its Beats Music service, arguing that subscriptions could grow considerably if the price could be lowered to just $5 per month. In its negotiations with record labels, Apple has reportedly said that its best iTunes buyers only spend about $5 per month on downloaded music, according to Re/code. It's because of that threshold that Apple reportedly believes that dropping subscription prices to that level could generate more revenue for music labels. Currently, a subscription Beats Music costs $9.99 per month. If users are willing to sign up for a full year, it costs $99.99 for 12 months. 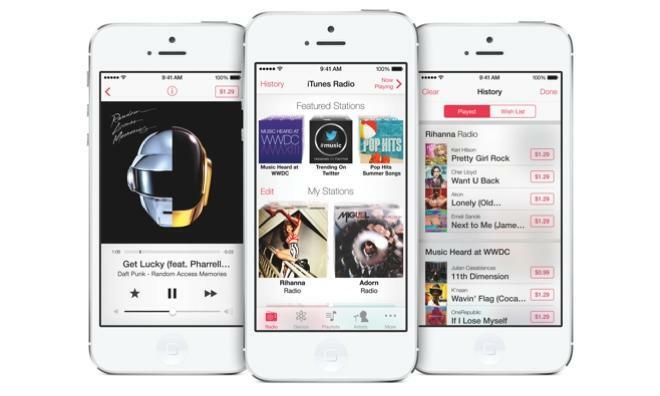 News of Apple's efforts comes as Spotify announced on Monday that it will begin offering new family sharing plans. While the $9.99 per month base rate for Spotify Premium will remain the same, new family members can be added for half-price each, meaning a two-person subscription with separate playlists and recommendations would run $14.99. Spotify Family is set to roll out globally over the coming weeks. Meanwhile, there's no sign that a reduced price for Beats Music will be arriving in the immediate future, and Peter Kafka of Re/code said that despite Apple's pitch, he doesn't believe the iPhone maker thinks it can actually get the labels to agree to $5-per-month pricing. "A more modest goal would be to get rental music down to the price Netflix charges (some of) its users for rental video: $8 month," Kafka said. "Bear in mind that any price cuts that Apple got would have to be offered to all of its rivals, too." Word of Apple's ongoing negotiations with labels first surfaced earlier this month, when it was revealed that Apple was asking music labels to reduce Beats Music streaming fees. Doing so would presumably allow Apple to cut the cost of subscription fees, but talks were said to be in the early stages, with no changes coming before next year. Apple is also said to be considering a rebranding of its Beats Music service, bringing it more closely in line with its other iTunes products. In purchasing headphone maker Beats for $3 billion earlier this year, Apple emphasized the Beats Music service as a key component of the blockbuster deal. The acquisition of Beats Music represented a key subscription market where Apple's iTunes Store downloads and iTunes Radio streaming service did not compete. The subscription Beats Music service allows on-demand streaming of tracks and albums, as opposed to the randomized nature of iTunes Radio. Streaming has become increasingly important in the music industry as sales of digital albums have been declining. Many users who previously purchased music have been migrating to services like Spotify and Pandora.